ALL WEATHER ALL WHEEL DRIVE! Sporty Performance with Dynamic Traction!! Low 48k Miles!! 8-Speed TipTronic Transmission!! Navigation and Back-Up Camera!! 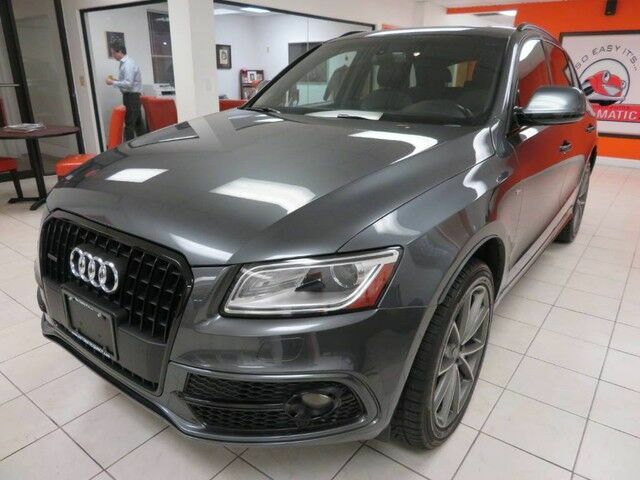 2016 Audi Q5 Premium Plus Sport Utility, 3.0L V6, Gray with Black Leather Interior, features Premium AM/FM, CD/MP3 and Steering Wheel Audio Controls, Power Moonroof , Power Heated Front Seats, Tiptronic Sport Shift Paddles, Dual Climate Control, ESP (Stability Control), 12vDC Power Outlets, Power Locks, Windows, Heated Mirrors, Cruise Control, Fog Lights, and Alloy Wheels. Just Serviced, Automatic Certified! !